THERE HAS BEEN a road running in a north-south direction from the banks of the Seine towards the original Romanesque church, which was later to become the Église Saint-Sulpice, since the middle of the 13th century. 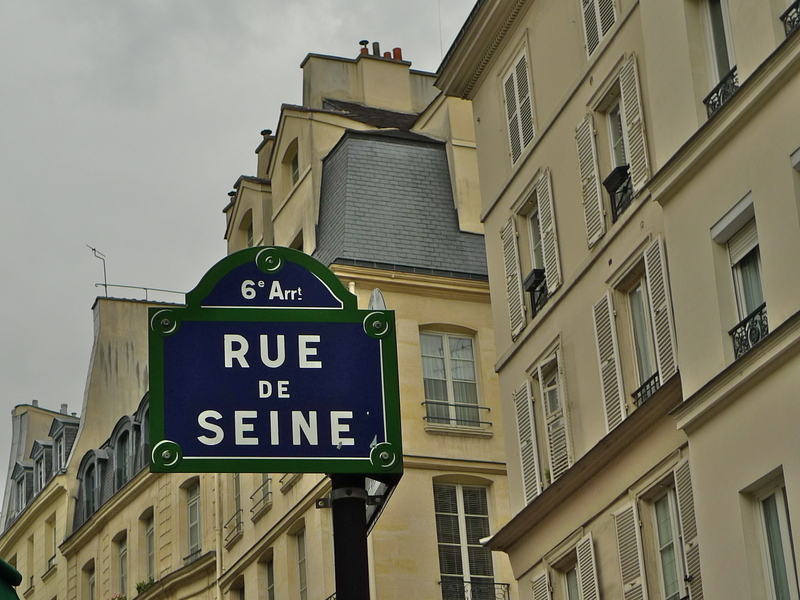 In 1489, that road was formalised into a street named rue de Seine. Today, rue de Seine runs for some 665 metres across the 6th arrondissement from quai Malaquais to rue Saint-Sulpice. 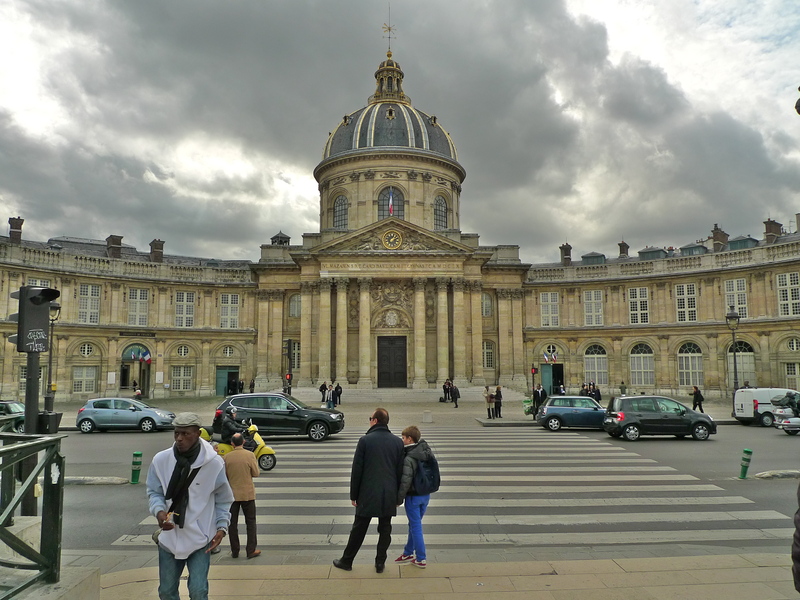 Whilst the name, quai Malaquais, may not be familiar to you, most visitors to Paris will immediately recognise the magnificent building which is the Institut de France and it is directly behind this building that rue de Seine begins. 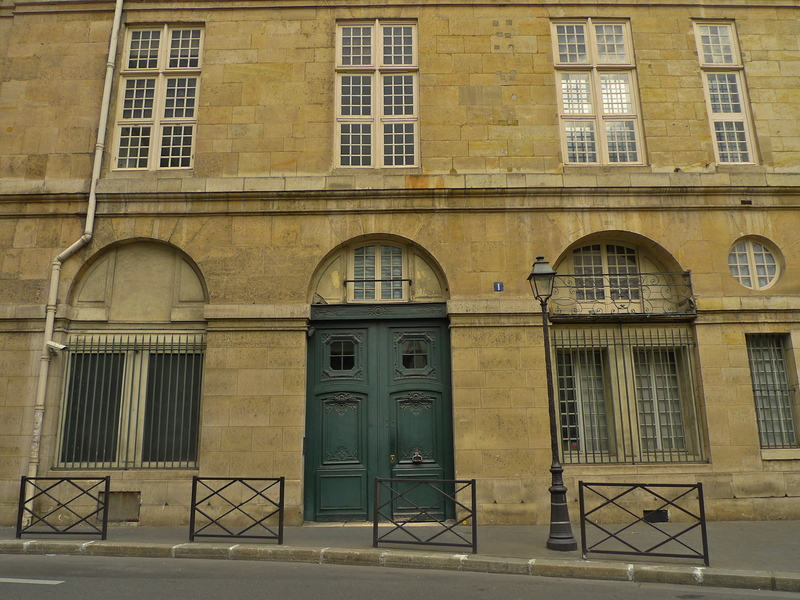 In a kind of shorthand, this building is often referred to as the Académie Française but that is only partially true. 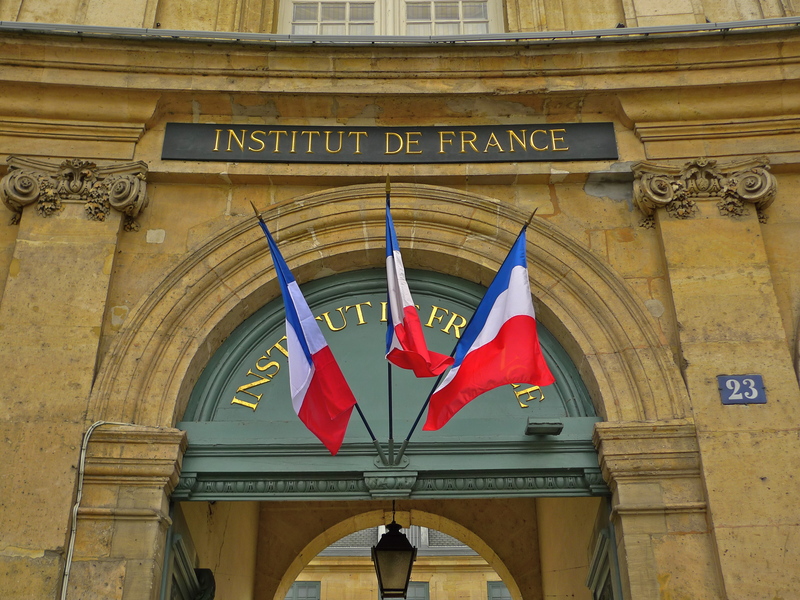 The Institut de France is a French learned society that groups five academies of which one is the Académie Française. The five academies are: the Académie Française, guardian of the French language, founded in 1635, the Académie des inscriptions et belles-lettres (Academy of Humanities) founded in 1663, the Académie des sciences (Academy of Sciences) founded in 1666, the Académie des beaux-arts (Academy of Fine Arts) founded in 1816 and the Académie des sciences morales et politiques (Academy of Moral and Political Sciences) founded in 1795, suppressed in 1803, and re-established in 1832. Walking from the Louvre, across the Pont des Arts and thorough the Institut de France, I went to explore rue de Seine the other day where I recorded a soundwalk to add to my Paris Soundscapes Archive and I took some pictures to share with you. I also encountered a complete surprise … of which more later. 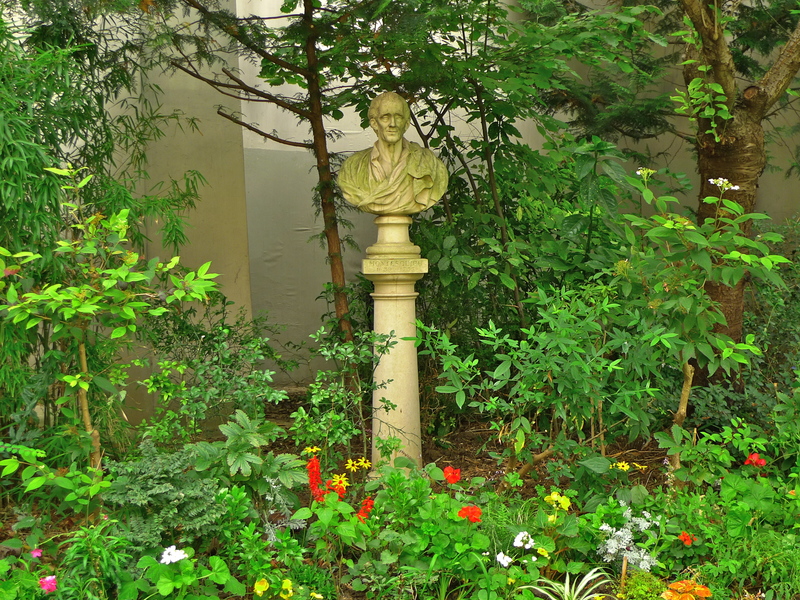 My soundwalk began at N°1 rue de Seine, the house in which Saint Vincent de Paul, the Catholic priest who dedicated himself to serving the poor, once lived. He was canonised in 1737. 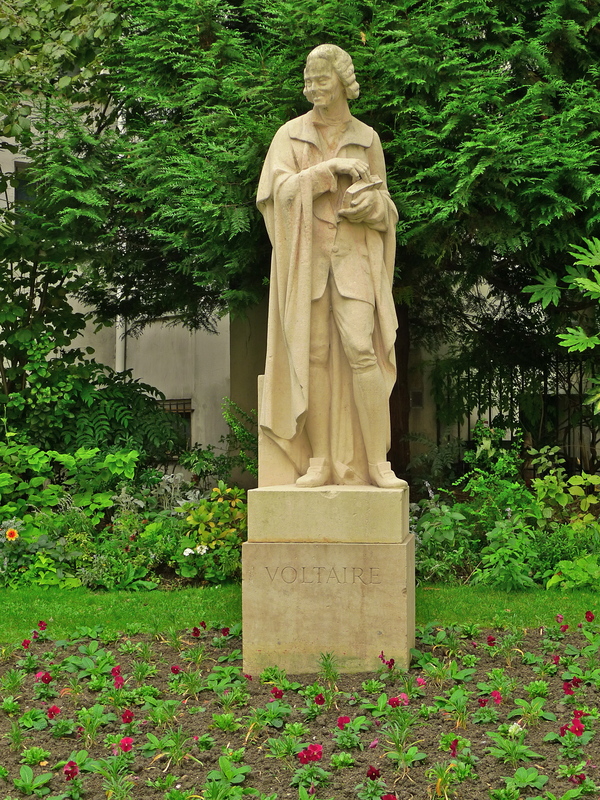 Across the street is the Square Honoré-Champion and the statue of the French enlightenment writer, historian and philosopher, François-Marie Arouet, better known by his nom de plume, Voltaire. Also in the Square Honoré-Champion, if less conspicuous, is a statue to the French social commentator and political thinker Charles-Louis de Secondat, Baron de La Brède et de Montesquieu, usually simply known as Montesquieu. He is perhaps best remembered for his articulation of the separation of powers now taken for granted by modern governments. A few steps away from the Square Honoré-Champion, just across the street, is the Square Gabriel Pierné named after Henri Constant Gabriel Pierné a French composer, conductor, and organist. 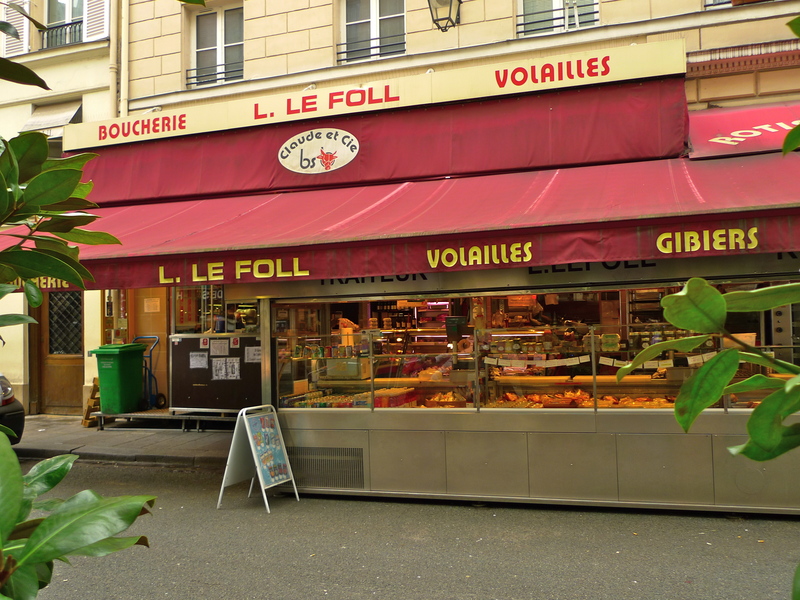 In the Square is la fontaine du Marché-aux-Carmes, which you can hear in my soundwalk. It was created by the French sculptor and painter, Alexandre-Évariste Fragonard in 1830 and it was installed in the Square a hundred years later. It’s now a monument historique. 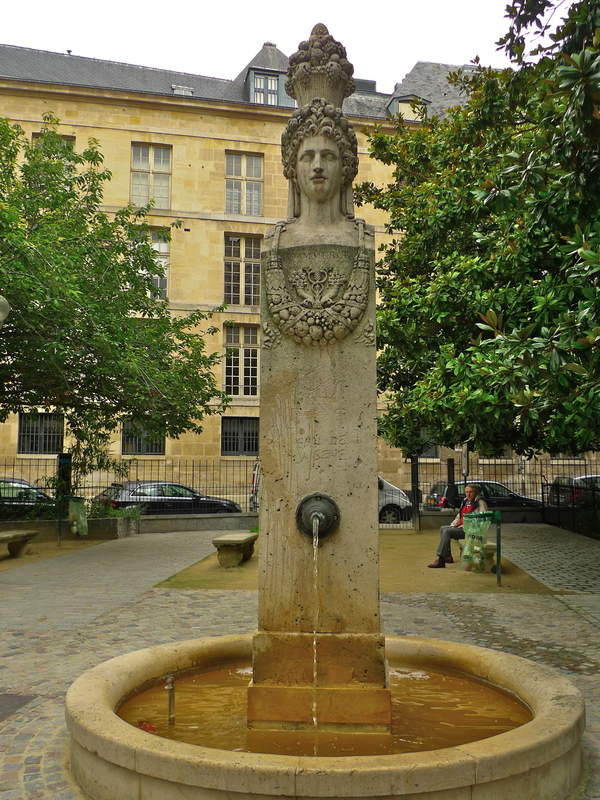 From the fountain in the Square Gabriel Pierné I began walking along rue de Seine accompanied by the sound of building work taking place on the left hand side of the street close to N° 25. I stopped to have a look at N° 25 because this is where Charles Ogier de Batz de Castelmore, Comte d’Artagnan once lived. Born around 1611, d’Artagnan served Louis XIV as captain of the Musketeers of the Guard. He died in 1673 at the Siege of Maastricht in the Franco-Dutch War. A fictionalised account of his life by Gatien de Courtilz de Sandras formed the basis for the d’Artagnan Romances of Alexandre Dumas, perhaps the most famous of which is The Three Musketeers. 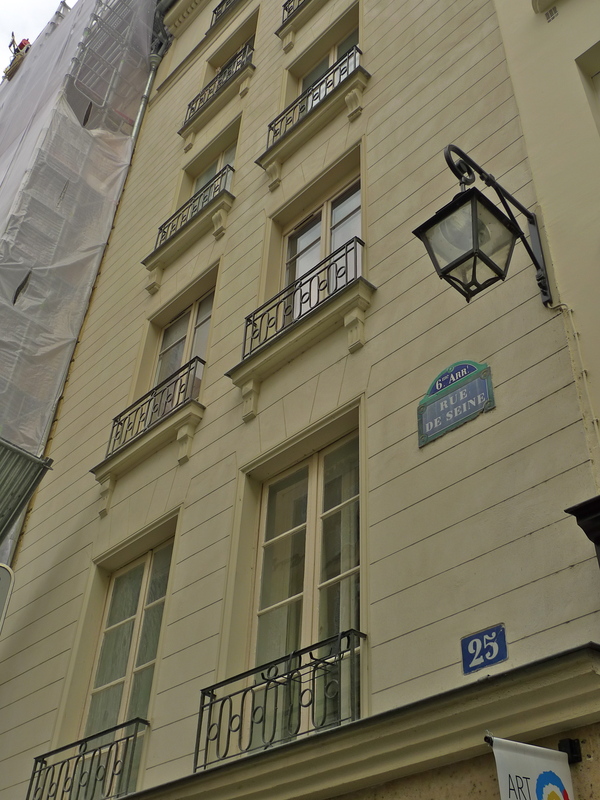 Next door, at N° 27, is the former home of the French poet, Charles Pierre Baudelaire. 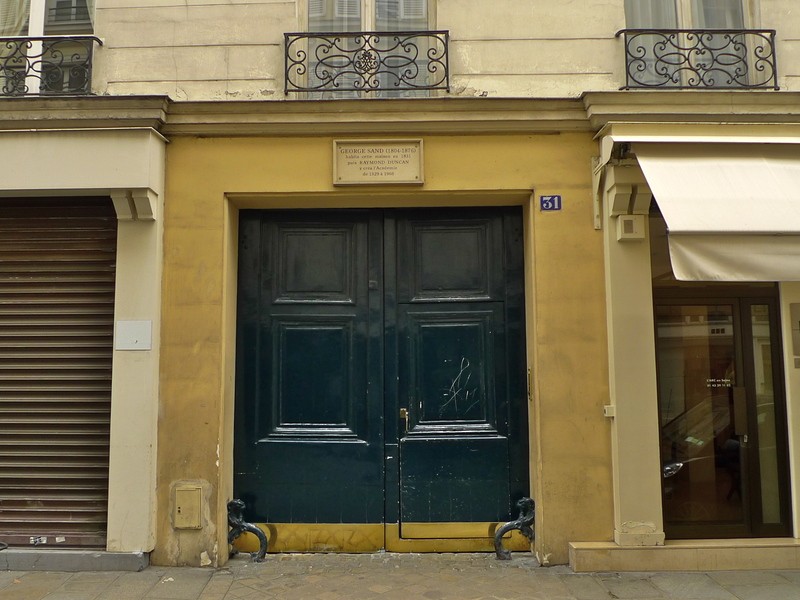 Two doors further along, at N° 31, a plaque above the door reveals that Amantine Lucile Aurore Dupin, later Baroness Dudevant, best known by her pseudonym George Sand once lived here. George Sand was a French novelist but she he is equally well-known for her much publicised romantic affairs with a number of well-known people including Frédéric Chopin. Some time later, the American dancer, artist, poet and philosopher Raymond Duncan, brother of the dancer Isadora Duncan, also lived here. 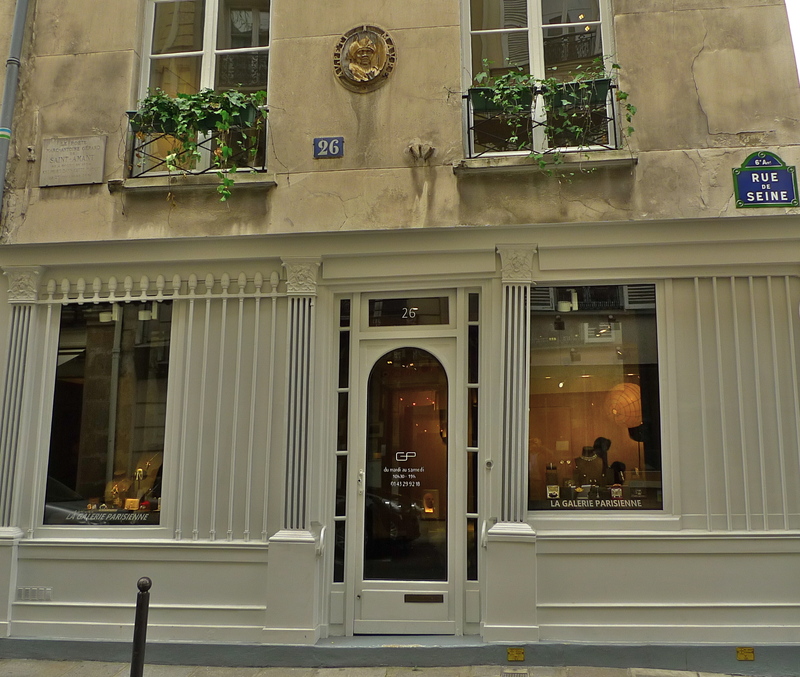 Across the street, N° 26 is now a boutique but in 1618 it was opened as the cabaret, Au petit Maure. On 29th December 1661, the poet, libetine, soldier and diplomat, Marc-Antoine Girard de Saint-Amant died here. 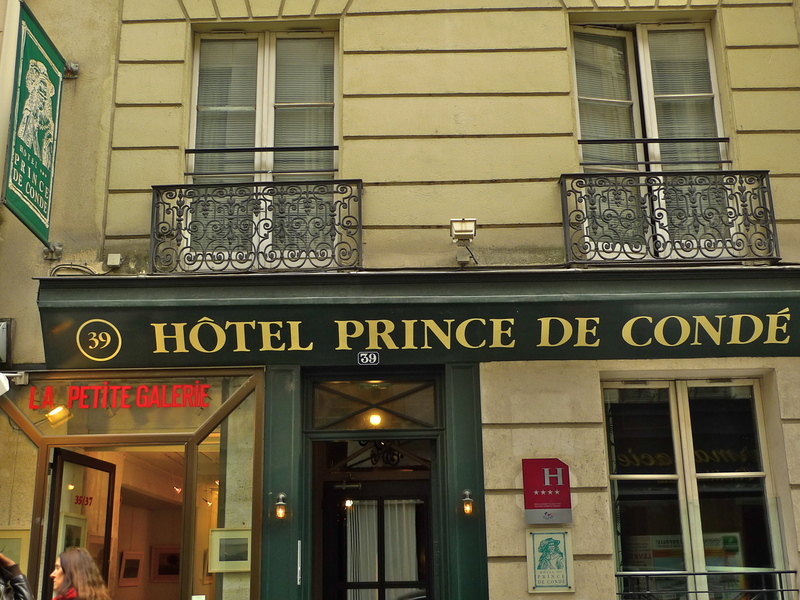 N° 39, now the Hôtel Prince de Condé, was once home to the French engineer and physicist, Claude-Louis Navier, best known for being one half of the Navier–Stokes equations, which everyone knows (everyone except me that is, I had to look it up!) give a description of the velocity of a fluid at a given point in space and time. And with that nugget of information under my belt I needed a drink and where better than the Café La Palette. 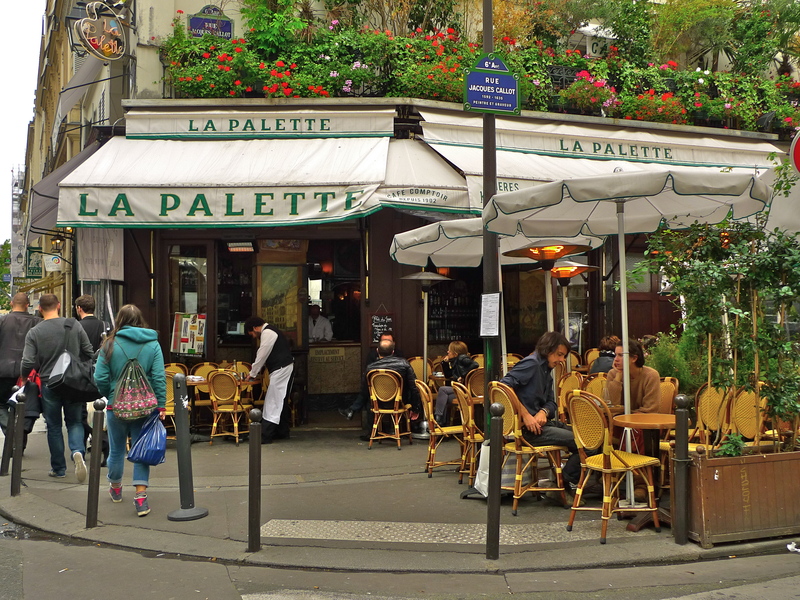 Now a monument historique, the Café La Palette dates from the 1930’s. It has always been associated with artists – Cezanne, Picasso and Braque were frequent visitors, and it’s a favourite haunt of students from the prestigious art school, l’Ecole Nationale Supérieure des Beaux-Arts, which is close by. 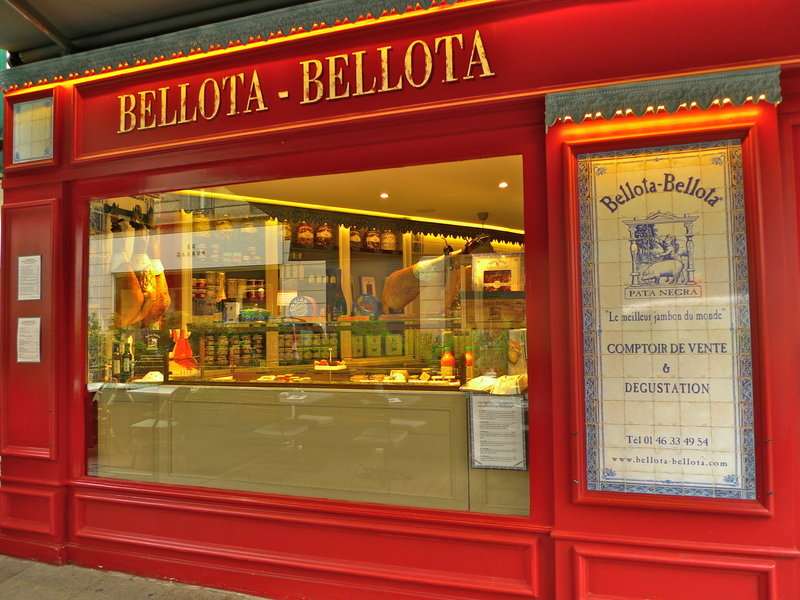 If you know what to look for, rue de Seine is a feast of history and that history continues as we walk beyond La Palette where rue de Seine crosses the Saint-Germain-des-Prés area. Once the haunt of intellectuals and revolutionaries and now a favourite tourist spot, this is the world of Jean-Paul Marat and Georges Danton, Jean-Paul Sartre, Simone de Beauvoir, and Juliette Gréco. 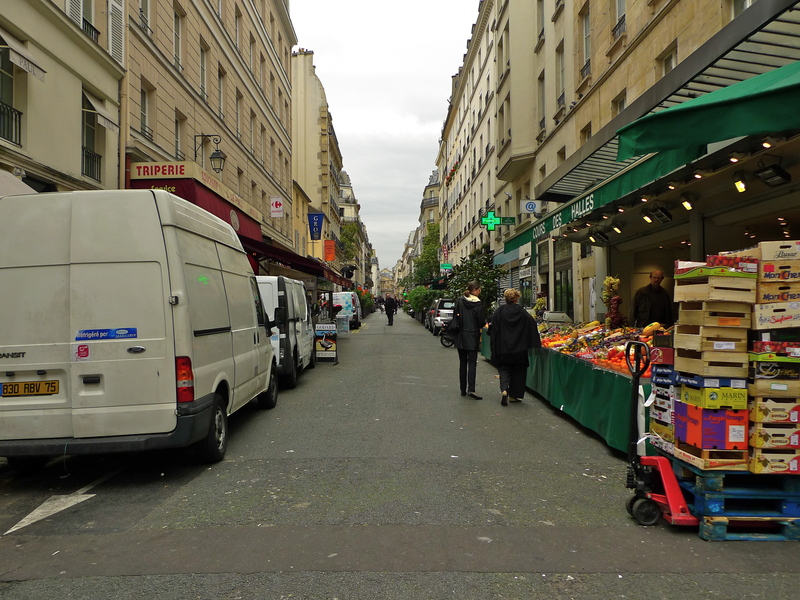 Crossing rue de Buci, but on this day too late to enjoy the wonderful street market, my soundwalk takes us up to and across the busy Boulevard Saint-Germain passing cafés and delicious food shops on the way. 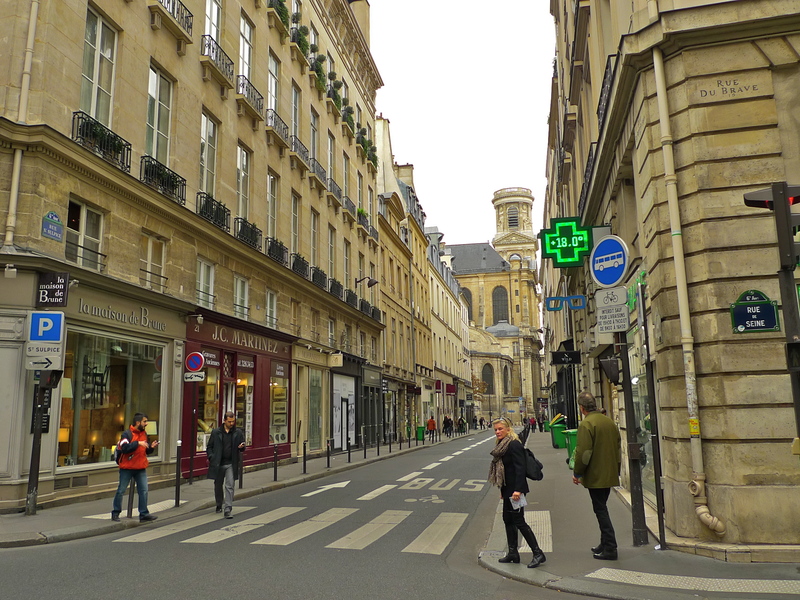 My soundwalk ends beyond the Boulevard Saint-Germain at rue Saint-Sulpice, the southern end of rue de Seine close to the Église Saint-Sulpice. This is perhaps my favourite church in Paris, not least because it has a François-Henri Clicquot organ magnificently restored and improved in 1862 by Aristide Cavaillé-Coll. This organ is considered to be Cavaillé-Coll’s best ever creation and it is perhaps the most impressive instrument of the romantic French symphonic-organ era. Apart from the installation of an electric blower and the addition of two pedal stops the organ remains almost exactly as Cavaillé-Coll left it. And as if that wasn’t enough, two of the finest Cathedral organists ever were resident organists in this church, Charles-Marie Widor from1870 to1933 and Marcel Dupré from1934 to 1971. I know I’ve digressed a little but magnificent church organs are one of my passions and the one in the Église Saint-Sulpice is as good as they get. I haven’t though yet quite finished with the rue de Seine. 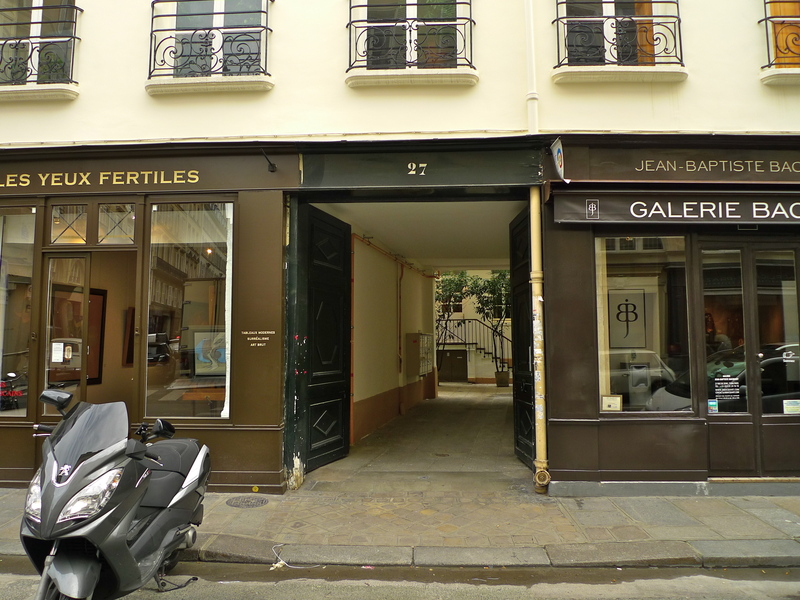 At the southern tip of rue de Seine close to rue Saint-Sulpice is this gem that takes us back to the early history to be found at the northern end of the street. 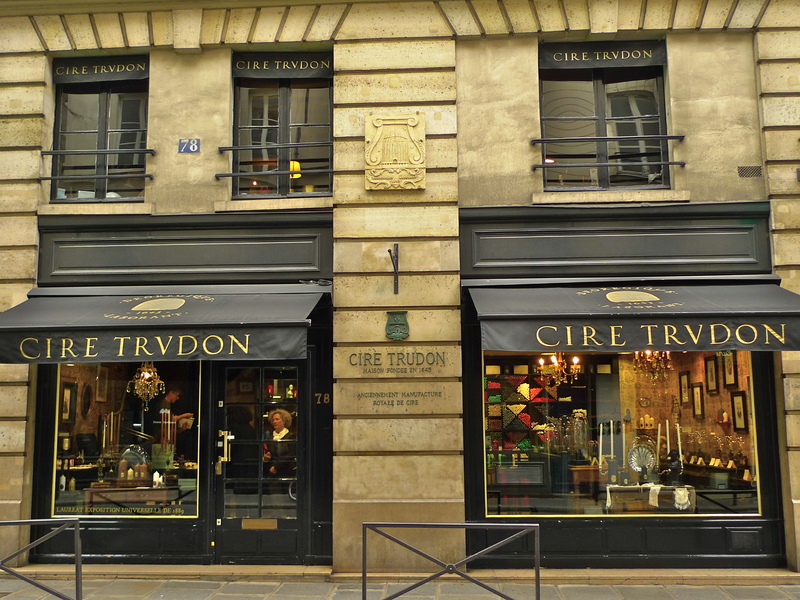 Founded in 1643, Maison de Cire Trudon is the oldest candle maker in the world. It supplied candles and candle holders to the royal court of Louis XIV, as well as most of the great churches of France. Cire Trudon still make and distribute candles throughout France and across the world and they still have the original wax recipes as well as the original moulds used to form candles bearing the royal blazons. When I was out collecting the sounds and pictures for this blog piece I thought that Cire Trudon at the southern end of rue de Seine with it’s historic connection, by date at least, with the northern end of the street where I began my soundwalk would bring this blog piece to an obvious conclusion. And so it would have had I not decided to retrace my steps to head for the Métro station Louvre-Rivoli and home. 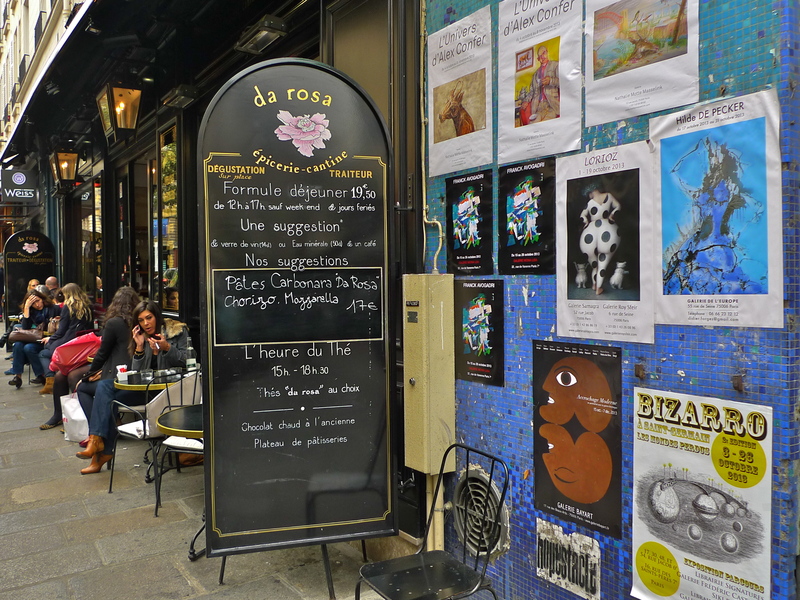 I walked back along rue de Seine as far as the Café La Palette where I stopped, found a table outside, sat down, ordered a coffee and took out my rather dog-eared Moleskine notebook to make notes for this blog piece. Pausing to sip my coffee, I looked up and sitting two tables down from me was a man I thought I vaguely recognised. He was casually dressed but there were three men in suits hovering around him and a very smartly dressed young lady sitting by his side. I returned to my notes and then, in one of those lightening flashes that sometimes strikes one, it came to me. The casually dressed man sitting just two tables from me was the former Président de la République, Jacques Chirac. He seemed to be on good form if more frail than I remember him from the TV and when he came to leave he had difficulty walking and the men in suits had to support him. And, no, I didn’t take a picture or record his voice – it simply didn’t seem appropriate. It does show though that if you keep your eyes and ears open being a soundwalking flaneur can sometimes throw up the most unexpected surprises. 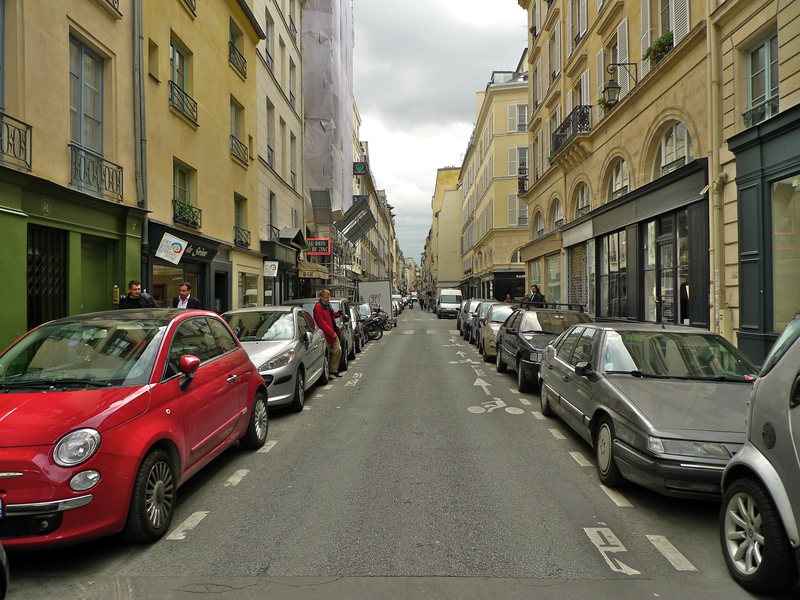 As a final note, perhaps I can mention that my soundwalk in rue de Seine is one of the longest sound pieces I’ve published on this blog. The conventional wisdom is that people tend not to listen to sound pieces for longer than two or three minutes at a time because they either lose interest or have something more pressing to do. I think it’s a function of the sound-bite world we have become used to. In my sound recording practice I take the view that it is not the sound recordist or the listener who dictates how long a sound piece should be but rather the sounds themselves. Sounds need both time and space to breath, to speak and to tell their own story – and the sounds themselves will tell you how long they need to speak. A three minute sound-bite of the edited highlights of rue de Seine would be rather like reading a newspaper headline and completely ignoring the article beneath. It simply wouldn’t tell the story or reflect the sonic tapestry of the street. So, if you have the time, I encourage you to listen to the whole sound piece. It is after all unique. The sound colours and textures are those that I recorded at that time and on that day. Tomorrow, both they and the actors will have changed and the sounds will be different. I love this, really really good. I actually thought someone was calling me at one stage.